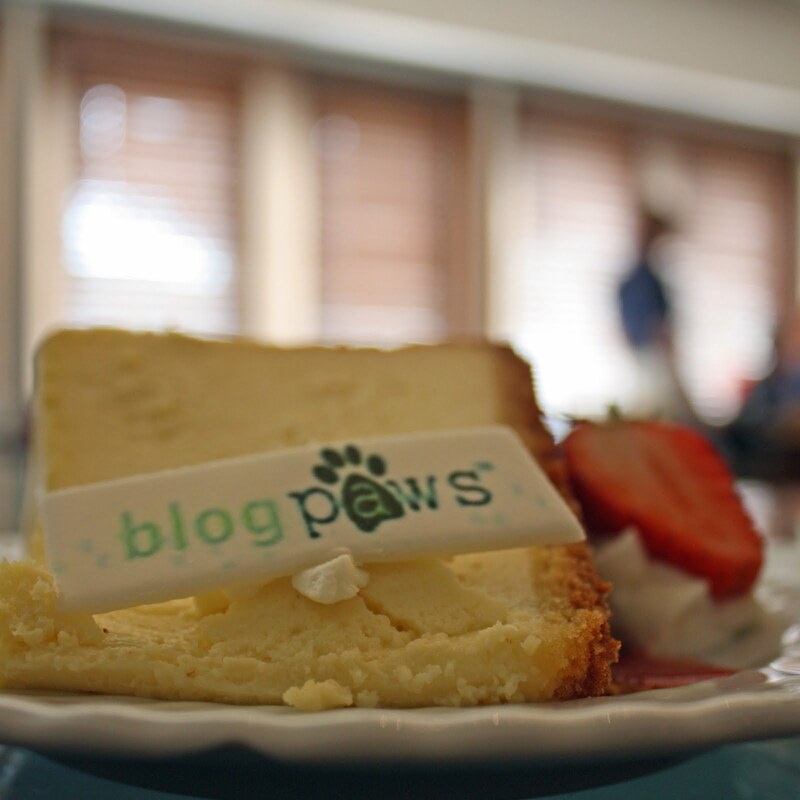 So Yax and I get a lunch invitation to the PetSmart Suite Pawty at BlogPaws. Not sure how we scored this prestigious invitation. Because of my influential blogging style? Of how I reach out to my modest yet dedicated readership (thanks, Mom!)? My good looks? My dog's good looks? Nah, all unlikely. Best guess is that Yax and I were just picked at random. But another person's randomness is our good fortune, cuz we had a blast. 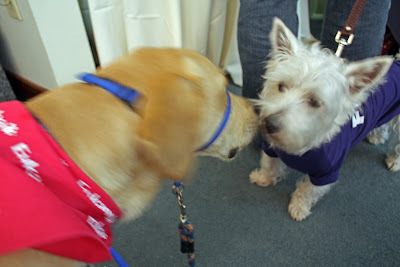 We rubbed noses with other celebrity pet bloggers, like the adorable Preston (of Preston Speaks). We, of course, means Yaxley. Being a supporter of appropriate personal space, I stuck with the more socially acceptable handshake among my peers. The famous and photogenic Preston. turn it off or something. 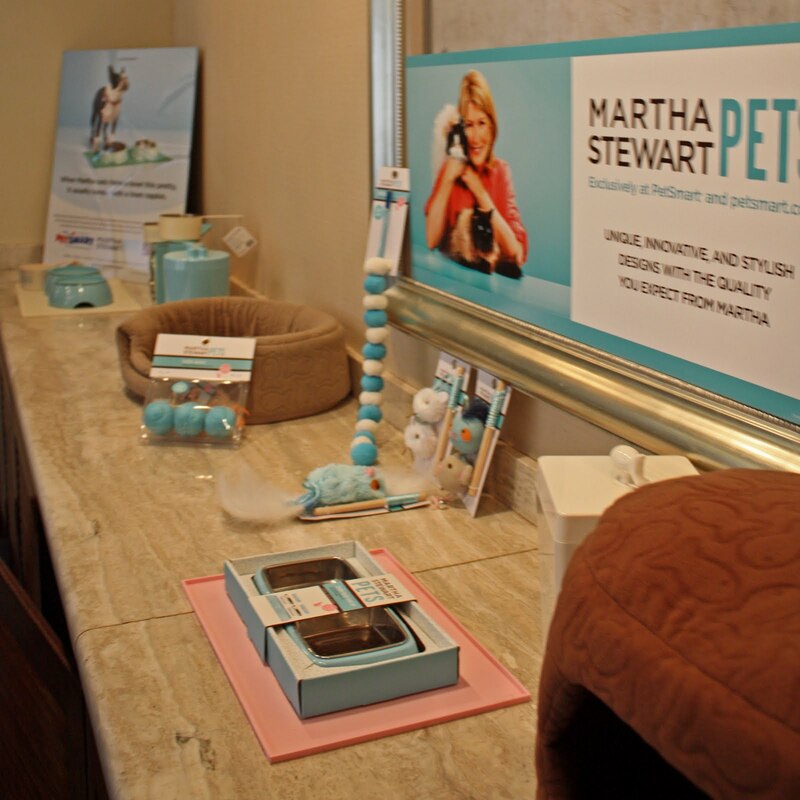 And the PetSmart folk showed us the new line of Martha Stewart branded stuff. 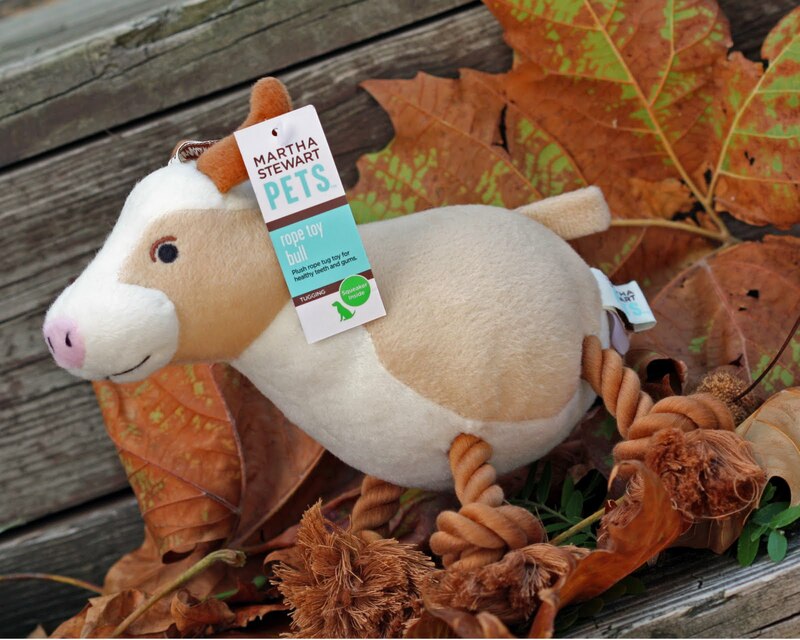 We were among the first to see the new cat toys and bedding, and we got a great look at the dog toys for Fall. Dog toys for what? Pay attention, now. This is Martha Stewart stuff. Of course there's a Fall line. 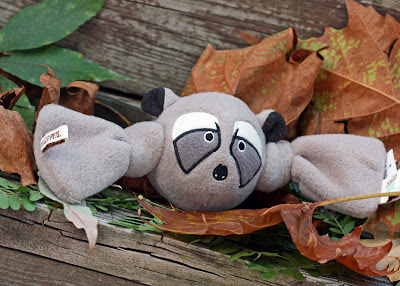 And it's some cute and clever dogs toys, too. 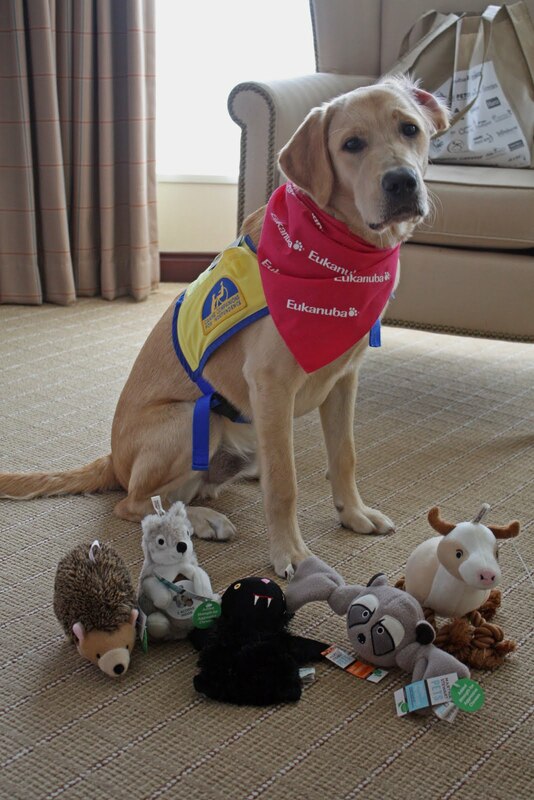 Martha has Halloween covered as well, with not just dog costumes, but matching toys to go with the theme of things. A witch costume can be matched with a frog squeaky toy; the vampire has a fanged bat companion, the skeleton, a skull ball. I think you see where this is going. Cleverly played, Martha. Monster dog costume. 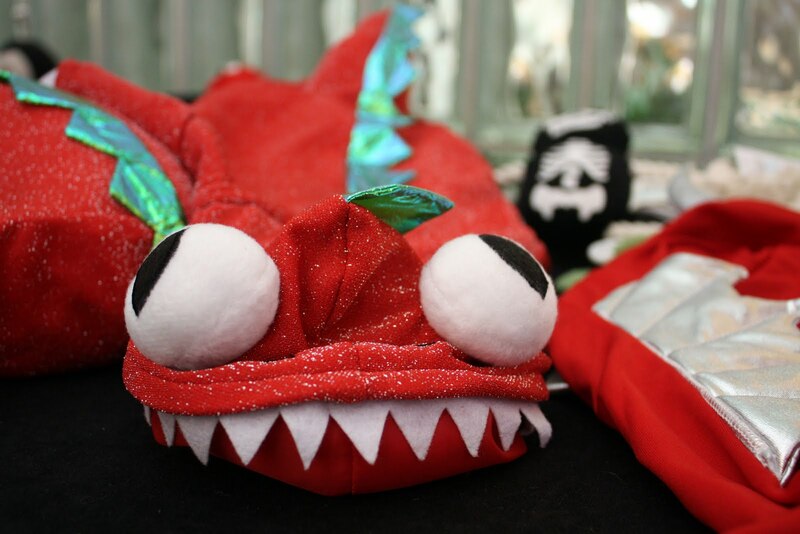 Or maybe it's a myopic dragon. I dunno. Being a professional victim, Jager suffers the annual Halloween dress-up. Sometimes it's absolutely wrong, and still ridiculously funny, like Halloween 2009's Banana Dog. Aw, come on. It could've been worse. I've a craving for hobbit stew. 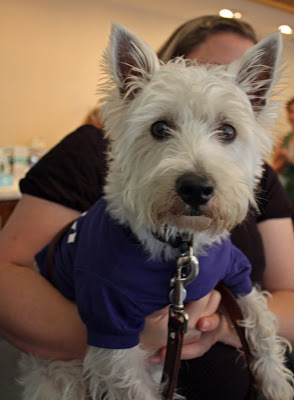 Apparently Martha knows me better than I thought with her snappy little dog costumes. 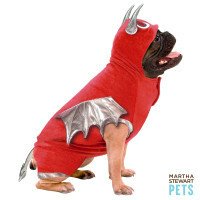 I chose the devil costume from the selection available and, being the rebel that I am, picked a fanged bat dog toy to go with it. Sadly, the thing doesn't fit Jager. So a heads up on sizes, folk. Looks like a Large is really a Medium. Because Jager looks like he's wearing a red sock with wings. It's just a little bit too tight, kinda like an evil bloated tick. Keeping in mind the poor dog's dignity, I'm not even going to post a photo of it. Yeah, that's how bad it is. Worse than Banana Dog. 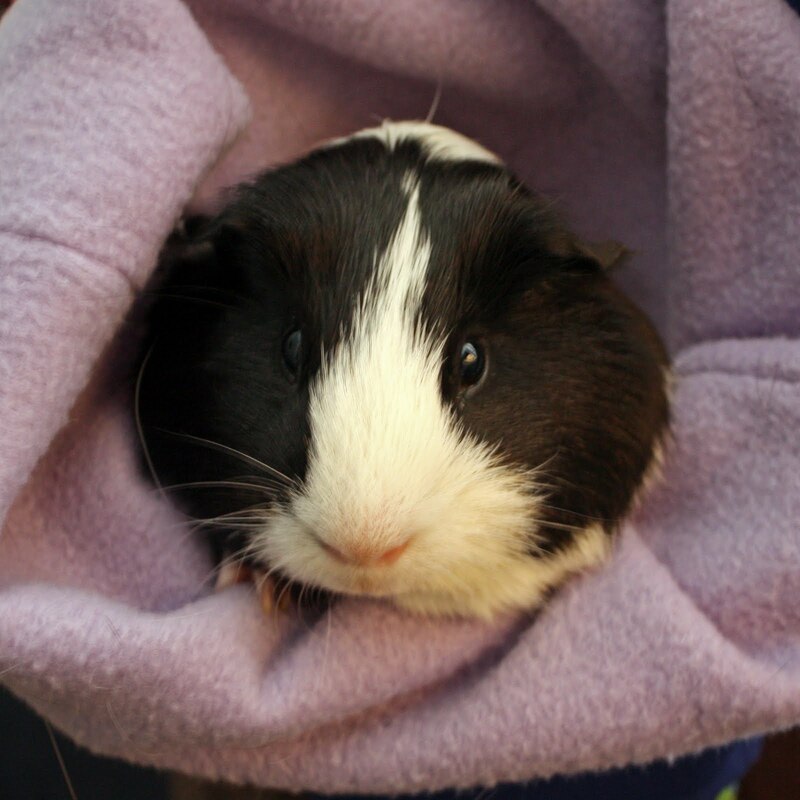 But here's a shot from PetSmart's website. If you got a pug, this would be pretty cute. 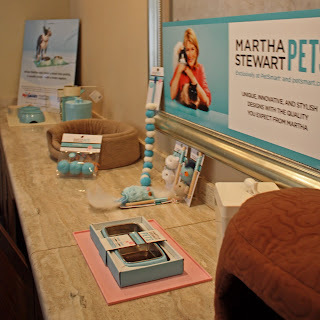 To promote the Martha Stewart Fall line, PetSmart was generous in offering some of their dog toys to the bloggers at the Suite Pawty. Yaxley picked out his favorites and we'll run through a review of them here. 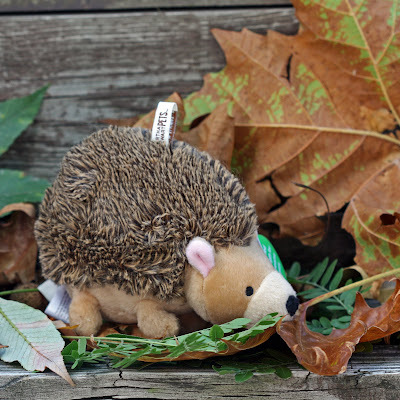 Goggles' info tag claims this round headed fella as a fleece tug toy for healthy teeth and gums. Of the toys we brought home, this was the paws down favorite for Yaxley and Micron. And the critter lasted through some energetic playtime fully intact. Downside: not a good toy for the office. Apparently the robust squeak can be heard at about a hundred yards away. So says a co-worker through an instant message. Otherwise, the raccoon critter gets a Thumbs Up from me. This one was more my choice than Yaxley's. I liked the rope legs and pictured my dogs grabbing a rope each and playing tug with each other. What I didn't picture was the two of them dressing the thing for the butcher shop. Darn that squeaker. After they dehorned the hapless bovine, the dogs eviscerated the thing looking for the elusive squeaker. And I don't think it's a bull anymore, know what I mean? On the plus side, the legs are still securely on it. If you have aggressive chewers, then this one gets a Thumbs Down. So after the unfortunate cow disembowelment, I'm feeling a little cautious with this guy. 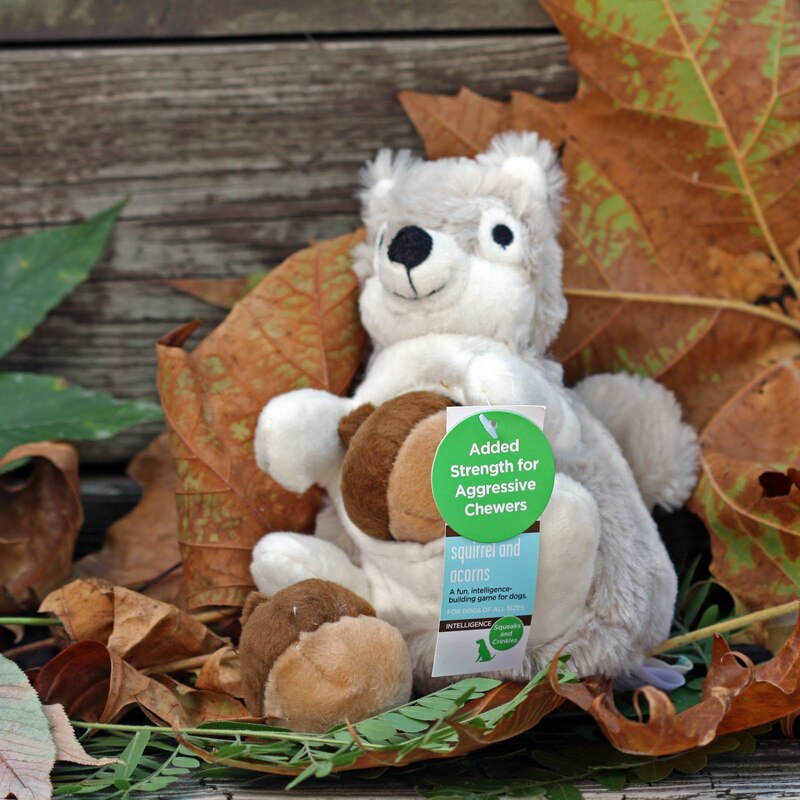 A couple of reasons, one being that the acorns look small enough for my big dogs to choke on. And the other concern is that my immature mind can't get past the removable acorn thing. Sure, it's a clever idea, that the dog can pull the acorns from the tree rat's belly. Those are his acorns, people. Sorry, Martha. It's just how I roll. So points for the "added strength for aggressive chewers," but we'll have to pass this one on to a smaller dog that won't choke on the squirrel's, um, acorns. Ok really. It's not just me, is it? Another winner here with Mugsie. Like the squirrel, Mugsie is identified as a toy for aggressive chewers, a "plush toy for chewing and teething." A close second favorite of the dogs, right after the raccoon. Even Jager likes this thing. Instead of a squeaker, Mugsie has a sound chip that makes a chirring, chirping kinda sound that the dogs find interesting to engage. Over and over. Make it chirp again, Yaxley. And so it goes for the evening. In spite of the rapt attention it garners, this critter makes it fully intact through the night. 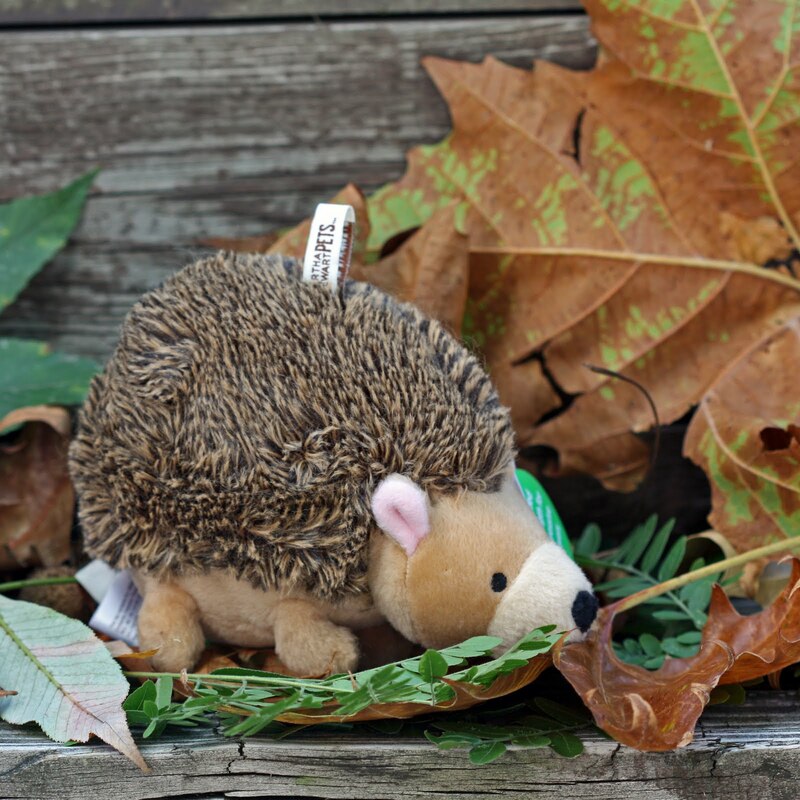 The sound chip had them so mystified, the hedgehog saw the next sunrise with ears and nose still in place. Just a bit stiff from the lab slobber mousse job. A Thumbs Up for Mugsie and his sound chip. Takes a licking and keep on chirping. Now I'm sure it didn't escape your attention that I went all out for the Fall line photo shoot. I found some dead leaves in the yard and set these toys up on our rustic (read: rotting) back porch steps. Martha would be so proud of me, doncha think? When I'm done here, I'm off to knit a table runner out of dryer lint or something. Next BlogPaws post will be on a movie screening just for us bloggers. Puppies and a Halloween theme. How did I not know about this before? And why did I not get down there earlier for the open bar?